With favored brands like Movado, Swiss Legend and Invicta always on sale at The Watchery, this week shoppers can also enjoy a fabulous sales event that includes up to 90% off rotary watches and even more luxury brand watches. The Watchery is excited to bring classic and modern designs together for customers at the best prices offered online. There is always time to shop for a new watch! The Watchery is the leading high-end online retailer of luxury watches. With an extensive inventory that includes classic timepieces, modern luxury watches, state-of-the-art designer watches and more, The Watchery is fast becoming the premier destination for watch-savvy customers seeking the best prices on luxury watches. The sales keep rolling in, and this week highlights on of the most popular luxury brand watches: Rotary. These classic timepieces will be offered at up to 90% off. As will several designer watches including Invicta, Stuhrling, Swiss Legend, Lucien Piccard, Movado and U-Boat. “Classic” and “modern luxury” are two of the most popular requests that The Watchery hears from its customers, and they want to make sure to offer those styles that are requested by popular demand. Classic styles are timeless and can be great gifts that can be passed down from generation to generation. Some great designers that offer these types of styles are: Swiss Legend, Stuhrling, TAG Heuer, Cartier, Breitling, U-Boat and Lucien Piccard. Then there are the times when shoppers are in the market for a more modern look—great for a gift for a friend or for personal pleasure. Some luxury brand watches that fit the bill include: Movado, Invicta, Bulova and Glam Rock. Popular brand Rotary is the highlighted designer brand this week. The Watchery has a great collection of Rotary watches at up to 90% off. Also, TheWatchery.com offers luxury timepieces from the Rotary Editions series, the Rotary Revelation series and more. With almost 80 styles to choose from, Rotary watches start at just $49 and go up to $249. Every watch is brand new, never worn, with original factory parts and 100% authentic guaranteed. For shoppers browsing the extensive inventory right now, they’ll receive free shipping on all domestic orders. The Watchery strives to deliver the top customer service in discount luxury brand watches. Every purchase receives a 100% satisfaction guarantee, 30-day money back guarantee and all watches are 100% guaranteed authentic. There’s no better guilt-free shopping than a classic timepiece at the best of best prices. 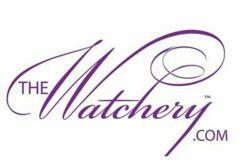 Be sure to check back in on TheWatchery.com regularly for other sales and promotions coming up. There is always time to shop for a new watch, especially during the weekly Flash Sale, the Weekend Wholesale Blowout, and the special Sunday Night 90.